The new thermoMETER CTP-3 infrared pyrometer enables the non-contact temperature measurement of thin polypropylene, polyethylene and polystyrene film. It operates at a wavelength of 3.43µm which is especially suitable for these types of film. The range of infrared temperature sensors from Micro-Epsilon has been extended with the new thermoMETER CTP-3 pyrometer, which is used for the temperature measurement of thin film, whilst offering an excellent price/performance ratio. The temperature of polypropylene, polyethylene and polystyrene film can therefore be detected reliably. The thermoMETER pyrometers measure on a non-contact basis on almost all materials, as the spectral sensitivity in the short-wavelength range is covered. The wavelength of 3.43µm at which the thermoMETER CTP-3 operates is perfectly suited to the above-mentioned film types. For pyrometers operating at other spectral ranges, these films appear transparent, making temperature measurement of the film impossible. With other film types such as polyethersulfone or polyurethane, the thermoMETER CTP-7 can be used as its spectral range is adapted to these materials. The temperature range of the thermoMETER CTP-3 extends from 50°C to 400°C. 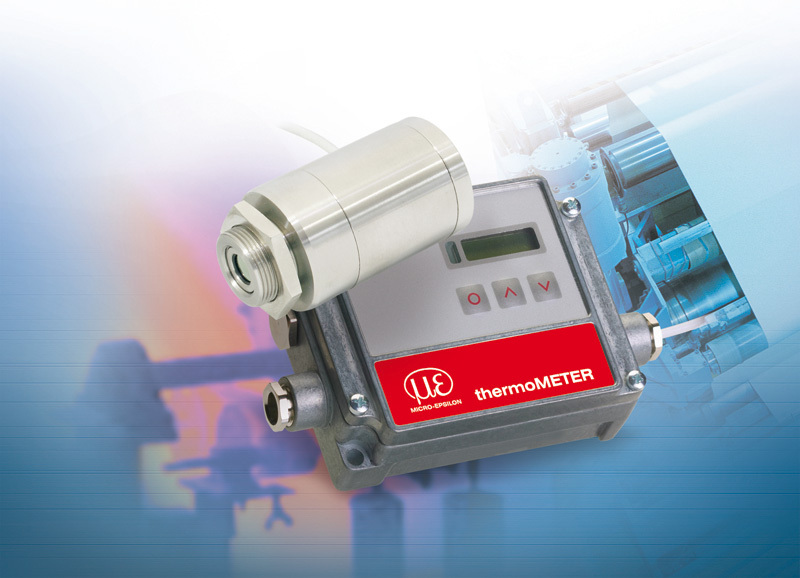 The pyrometer provides stables measurement values in ambient temperatures up to 75°C. It is available with either analog or digital outputs. High accuracy and resolution are the key characteristics of all thermoMETER sensors. Particularly with temperature-critical applications, IR sensors from Micro-Epsilon are the preferred choice in order to achieve reliable measurements.